Thankfully, after the lacklustre Holidays in Eden, the band gave us this, the first of the truly great classics which the Hogarth era has provided us with. I cannot find a fault with this LP. From the opening bars of The Bridge (surprisingly very good live, even on its own - see Marbles live DVD), to Made Again, Hogarth tells the story of a teenage runaway who ends up killing herself from jumping off the Severn Bridge superbly. Apparently, Hogarth got the idea from listening to a news story. Hard As Love is a strong, rocking anthem to abuse, with Hogarth shouting out the lyrics as if he were the victim. The Hollow Man (the single did not chart) comes down miles to a quiet introspective gloom. Alone Again in the Lap of Luxury follows the tradition of strong singles, whilst Paper Lies rocks with the unfairness of the news media. Again, on this, Hogarth drips with passion and scorn against his target. 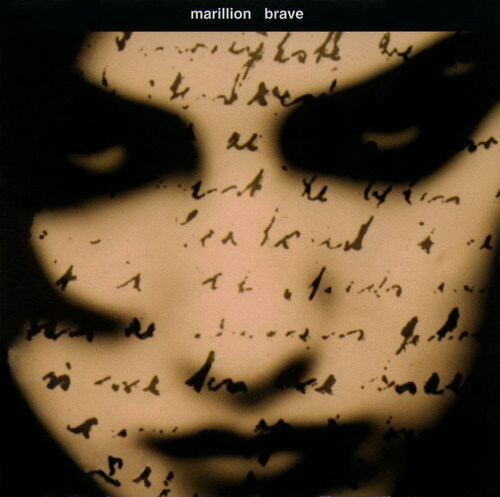 Brave, the title track, gives the backdrop to the inevitable end, and is a thoughtful ballad. And then comes the ultimate song... The Great Escape. I defy anyone listening to this track not to be moved at the tragic outcome of a young life, and I swear that Rothery's guitar sings in mourning to us. It is quite exceptional. The band sound like a fellowship on this work. It is as if they had decided their fate - not to be shackled to the whims of EMI and other majors, but to break free and make music that they loved and pass on that passion to fans. All the members of the band contribute, but I especially rate Kelly & Rothery's sounds. The latter has rarely had better days! This LP marked the passage from being a mere fan to being fanatical about the band. It is in the top three of my extensive collection, and I would rate it as being an essential addition to any collection. Certainly, it is the finest concept piece I have. All sceptics of the H era should give this a chance.